However you plan on using Apple Configurator, the first step to use the product is to download it for free and install it on an OS X computer. 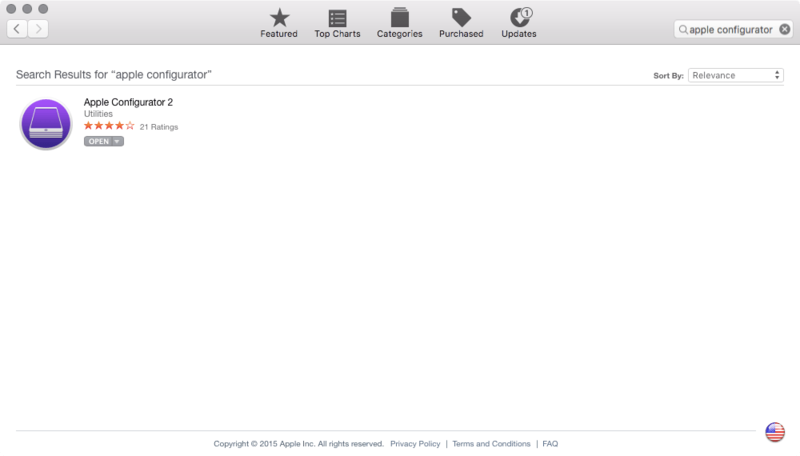 To install Apple Configurator, first open the App Store and search for Apple Configurator. When listed, click on Apple Configurator. Then click on Get, then click on Install App. If prompted for your Apple ID, provide it. This downloads Apple Configurator to the /Applications directory on your computer. 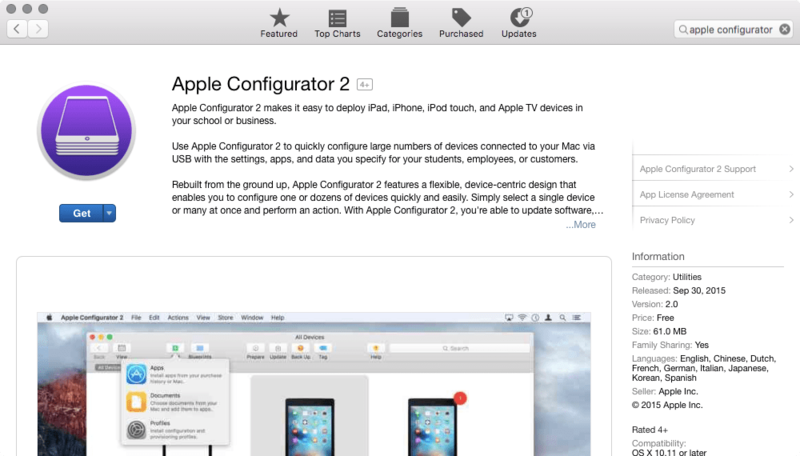 Once installed, you can still use Apple Configurator, if you were using it before. The two apps will appear in the Finder, with Apple Configurator 1 showing as Apple Configurator and Apple Configurator 2 appearing as Apple Configurator 2. When you initially open Apple Configurator 2, if you had been running Apple Configurator 1, you’ll be prompted to migrate your data into Apple Configurator 2. I’ve done a series of articles at http://krypted.com/guides/apple-configurator/ to help guide you through the process of getting comfortable with Apple Configurator and Apple Configurator 2. Good luck!